MILWAUKEE – (April 5, 2018) – Johnson Controls has introduced VideoEdge® TrickleStor, designed to maintain the integrity of video data in a surveillance system in the event of network connectivity loss. TrickleStor provides a highly-integrated camera and network video recorder (NVR) connectivity solution between VideoEdge NVRs and Illustra® IP cameras that records video locally on Illustra cameras in the event of a connection failure, protecting against video loss in the case of NVR updates or network outage. 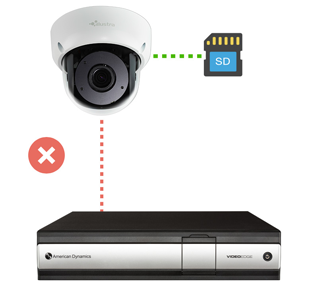 When connectivity to the VideoEdge NVR is lost, video is recorded directly onto the camera’s SD card at the same frame rate, resolution and encoding. When connectivity is reestablished, the protected recorded video is automatically inserted into the media database at the correct date and time. The missing video is pulled from the camera to the NVR at an ultra-low bitrate to minimize bandwidth consumption caused by the video retrieval. There is no discernible difference between the trickled-back video and previously recorded video when the stream is reviewed. For more information on TrickleStor, please visit http://www.americandynamics.net.